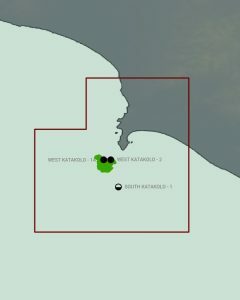 The quantities of oil at Katakolo are four times larger than initially estimated, with proven reserves amounting to 10.7 million barrels instead of the estimated three million barrels expected during the period of the tender, sources from Greek energy explorer Energean Oil & Gas revealed on Thursday. West Katakolon oil and gas field straddles onshore acreage on the coast of Peloponnese, and shallow and deep water blocks in the Ionian Sea off the shore of Greece. The offshore part of the field lies at depths between 200 m and 300 m.
Energean, which has assumed the management of the reserves, is planning to begin drilling in 2019. Meanwhile, the environment and energy ministry approved the plan for the development of the field in August while the environmental study has already been submitted for approval. In Greece, the company also operates in Prinos, where proven reserves are 40 million barrels plus 20 million additional potential, as well as in the areas of Ioannina and Aitoloakarnania, where the exploratory drilling has started. The Spanish company Repsol, which has a 60 pct share in the exploratory drilling, has launched a seismic study in Ioannina, while a contract for Aetoloakarnania is expected to be ratified by Parliament, after which the 60 pct transfer agreement and Repsol’s role as operator will be activated. The same sources also said that Energean has submitted a proposal to the Cypriot government to channel the Aphrodite deposits through a submarine pipeline to the natural gas station that will be installed in the sea region of Israel for the export of reserves from Karish and Tanin, which has also been taken over by a joint venture with the participation of Energean. This solution is considered by the company cheaper than the choice of transferring gas to Egypt, where it will be liquefied in order to be exported. The total investment in Israel for the exploitation of the two deposits will reach 1.5 billion dollars and the company is considering going public to raise capital on the stock market. If the company opts for this solution, Energean will be listed on the London Stock Exchange. At the same time, administrative changes are being introduced in 2018: Dimitris Gontikas, Chief Executive Officer of Kavala Oil will be the CEO of Energean’s activities in Greece, while Mathios Rigas will remain as CEO of the Energean Group.. In November 2016, Energean Oil & Gas and the Greek Ministry of Energy agreed the conversion of the exploration license for the proven West Katakolo offshore field to a 25-year exploitation license. The West Katakolo Exploitation Area is part of the Katakolo Concession and covers a 60 km2 area with around 11 mmbls recoverable oil and 35-40 mmbls STOIP. In August 2017, the Greek Government approved the Field Development Plan (FDP) submitted by Energean. An Environmental and Social Impact Assessment have been already submitted to the Greek Ministry of Energy. Drilling is planned for 2019. Energean will use Extended Reach Drilling (ERD) technology to drill from onshore to offshore reservoirs. This process is similar to the method used by Energean to successfully drill several wells in Prinos (Greece) and the Gulf of Suez in Egypt (East Magawish). The total investment for the development of the field is estimated to be $50 million. West Katakolon is the third oil and gas field to go into development in Greece, following the Prinos Oil Field and South Kavala Natural Gas Field, which are both located offshore in the North Aegean Sea. Both of these fields are operated by Energean.